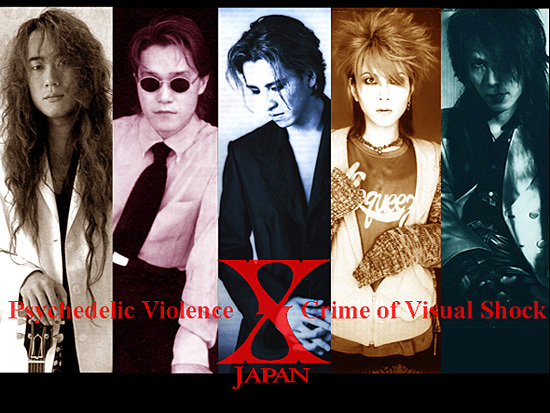 X-Japan was a heavy-metal, visual shock band of the 80's and mid 90's that became one of the MOST POPULAR rock groups to ever come out of Japan. Their music ranged anywhere from thrasher-rock down to soft, piano ballads. hide's career rocketed him into fame, outstreatching even that of X-Japan itself, even though he produced only 2 albums versus X-Japan's 10. hide created two bands, Japan-based "hide with Spread Beaver" and LA-based "Zilch". Tragically, he produced one album each before hide passed away in his Yokosuka mansion in the spring of 1998 through mysterious circumstances... an apparent self-hanging. The funeral turnout for hide was SO BIG that central Tokyo had to be shut down completely from the millions of mourning fans. Shortly after the breakup of X-Japan, band leader Yoshiki began slaving tirlessly over Extasy Records, Yoshiki's Indies-lable company that has now spawned into Extasy International, a branch of Universal Records Japan. 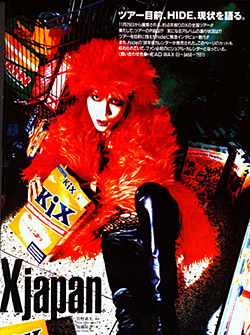 For a time, Yoshiki was so distraught over the death of hide, his best friend, that Extasy almost fell into disrepair. 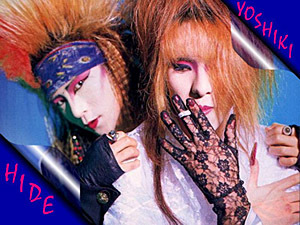 But to this day, Yoshiki leads a healthy life in LA as a multimillionaire, producing such chart-smashing indie bands as Dir en Grey and Violet U.K.
- The band members seak out the Minanimo twins (YYH) to visit their passed guitarist, hide. - Based on the Sierra Game Quest for Glory IV: Shadows of Darkness, set in Mordavia, Romania.